My friend Lovelee and I met up for a cozy dinner at Vanderlust Bistro + Patisserie in Tomas Morato area. 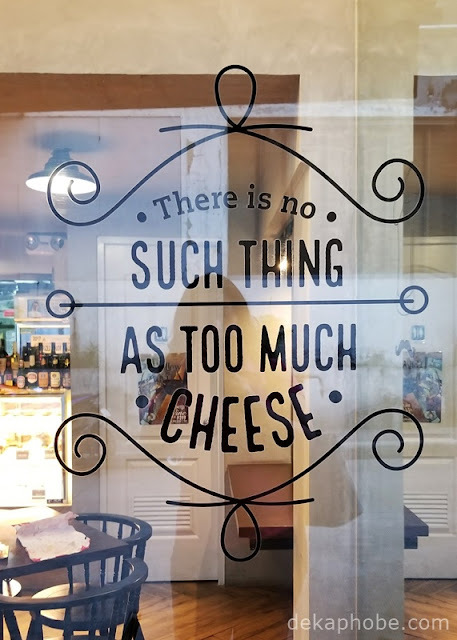 This small restaurant was inspired by the owners' travels to Europe, hence the diverse European offerings - from savory dishes to the desserts. The ground floor serves as the bar and cafe while the mezzanine floor is mostly used as the dining area. While waiting for my friend, I ordered a Latte (Php 120 for piccolo, Php 140 for medio). As soon as my friend arrived, we ordered appetizers: Arancini Al Margherita (Php 138 for 3 pcs, Php 248 for 6 pcs) and Jamon Serrano Croquettes (Php 138 for 4 pcs, Php 248 for 8 pcs). 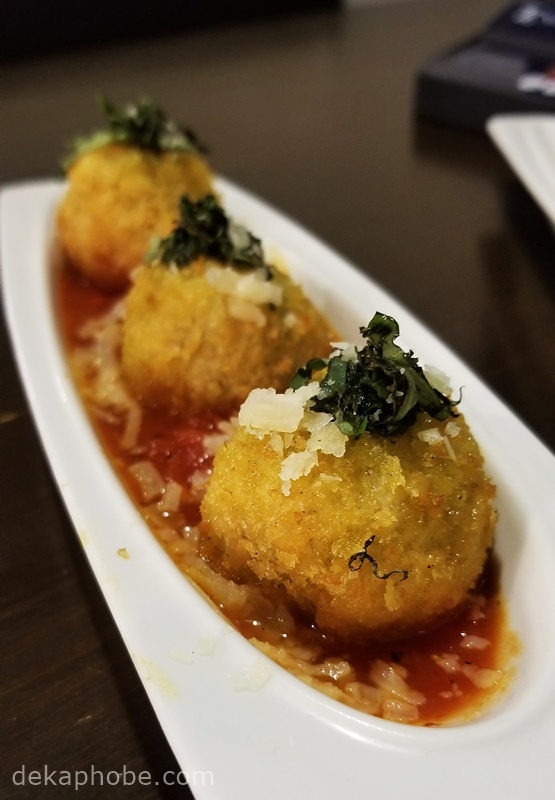 Arancini Al Margherita is Italian risotto balls with mozzarella with pesto and parmesan cheese, served on margherita sauce. 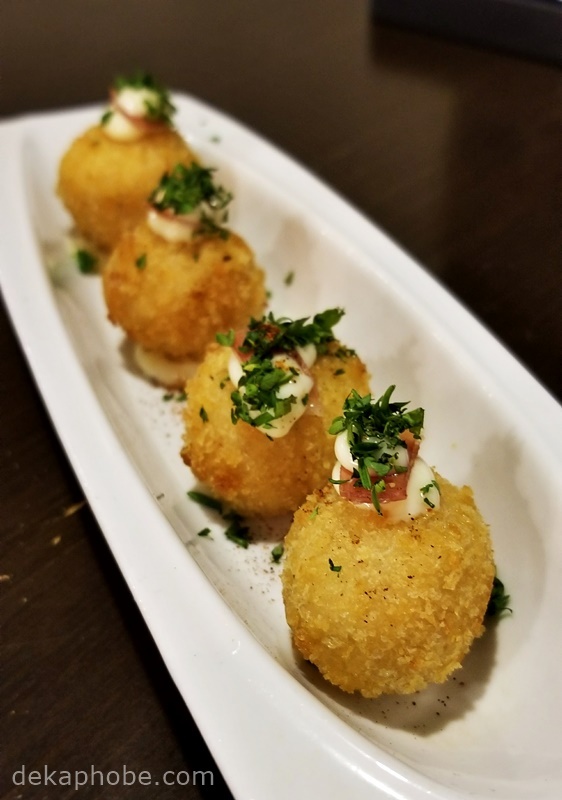 Jamon Serrano Croquettes are deep-fried bechamel croquettes with lemon garlic aioli with Spanish jamon serrano. I love both appetizers and would have loved to order more but I was also excited to try their main dishes. We had Cacio E Pepe Classic (Php 198) and Mon Cheri Poulet (Php 348) for our mains. 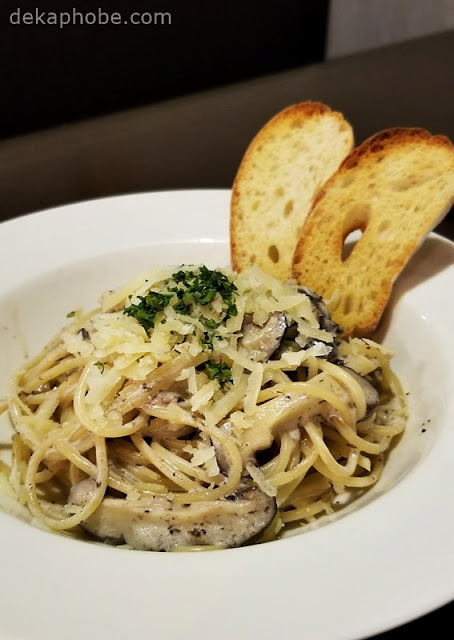 Cacio E Pepe is Italian pasta dish with cheese and pepper, which is something that I usually prefer in a pasta. However, I found their Cacio E Pepe lacking of flavor that I wished I knew what kind of cheese they used to this pasta dish. 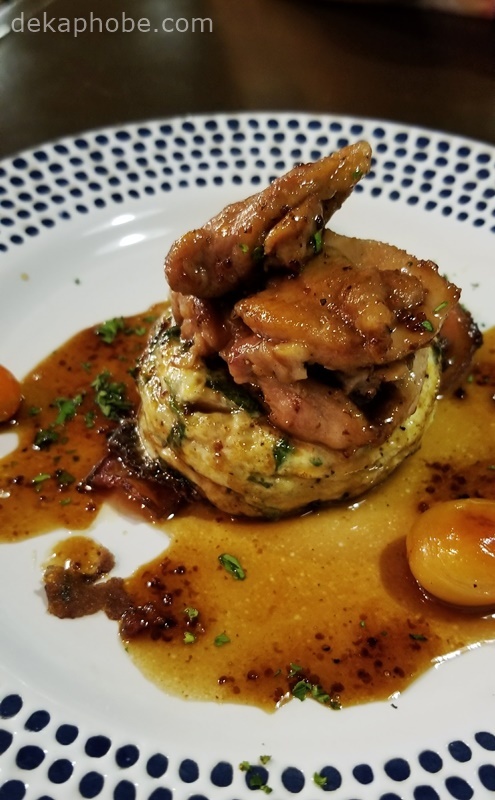 Mon Cheri Poulet is glazed chicken thigh on top of spinach omelette and bacon. This dish was delicious and tender, but the serving could be bigger. For dessert, we shared an order of Spanish Churros (Php 98 for 6 pcs) with Chocolate (Php 50) and Cinnamon Sugar (Php 25) and a trio of Cannoli (Php 125). For our cannoli, we chose three flavors: Earl Grey, Lemon, and Chocolate Pistachio. We loved our desserts! 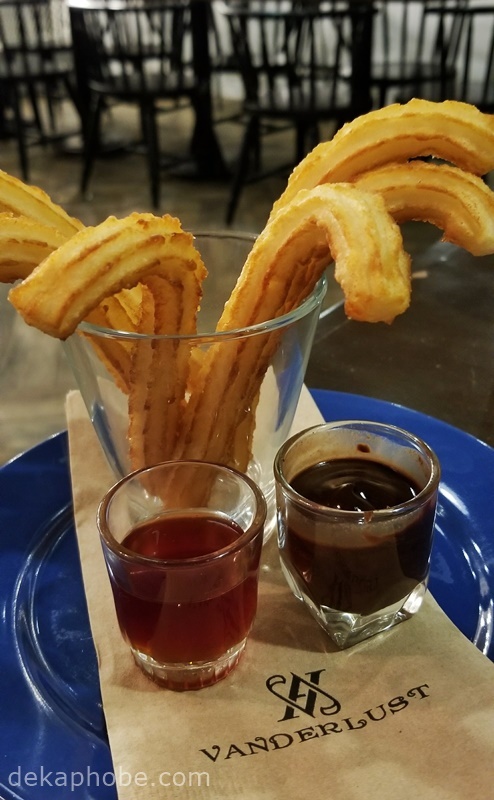 I'm a huge fan of churros so I was a little biased with it. I love both the cinnamon sugar and chocolate dips. 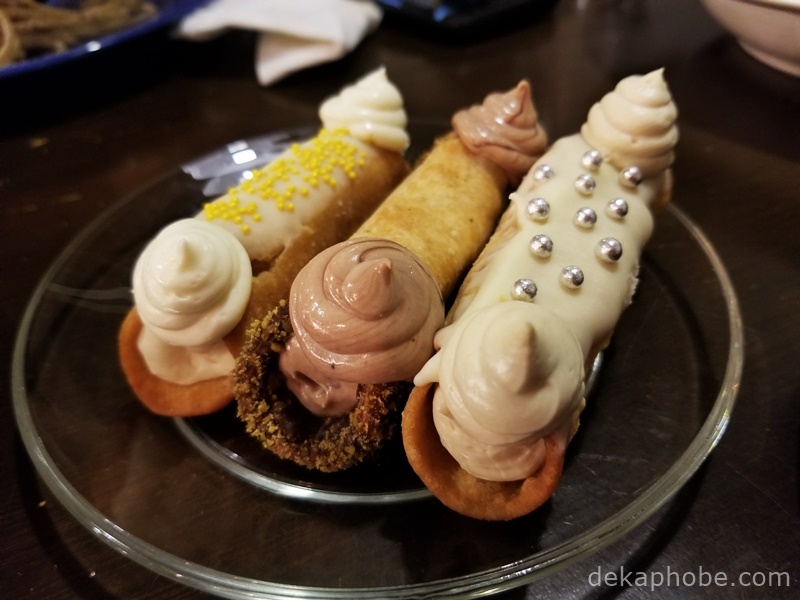 For the cannolis, I liked all the flavors, especially the Lemon and Chocolate Pistachio. I would have loved to try more flavors but we were too full. 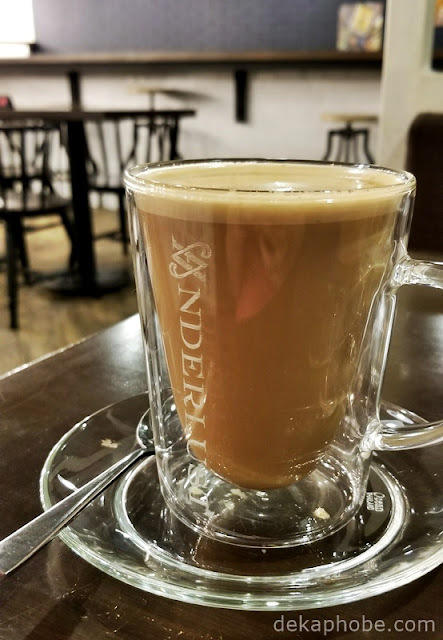 I love how Vanderlust has an ambiance for a relaxing and delicious meal. I think the main dishes need to be improved, but the appetizers and desserts are really impressive. I found the service excellent that I didn't mind paying a little more than the usual for dinner. I would love to return to try the other desserts.